Good morning, Honey Bee friends! There has been a lot of excitement happening over the past week. You've seen sneak peeks of some pretty amazing new Honey Bee Stamps products. 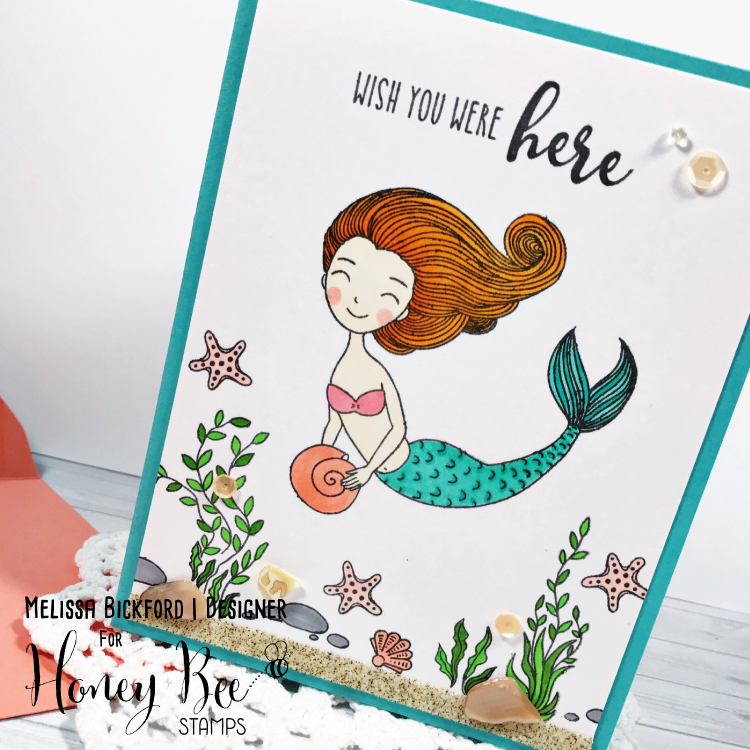 Today we are celebrating with a fun blog hop featuring cards using all of those new products that are now available HERE in the Honey Bee Stamps Shop. For my card today I'm using the new and oh so adorable set, Under the Sea, along with a sentiment from the Ocean Bliss set. I started with a white card panel that measures 4 x 5.25". Along the bottom of the panel I added a strip of double sided tape and then sprinkled the new Desert Oasis Sand. Next, I stamped all of my images in black ink and then colored them in with Copic markers. To finish it off, I attached a few Natural Abalone Shells. To celebrate this new release, Honey Bee Stamps will be giving away two $50 gift certificates to purchase new goodies in their Store. All you have to do to win is comment on the Honey Bee Stamps blog and at each one of the designer’s blogs by Sunday, July 16th. Winners will be announced on Monday, July 17th at Noon PST. Very nice card. Love these new stamp sets. Nice card! A little bit of sand at the bottom of a card just makes underwater life real. You kicked it up a notch with real sand! Great card! Such a sweet card. Love the little touch of sand at the bottom. So cute and love that sand! Sweet card. Thanks for sharing it. Very pretty card, I like the clean white background! These are the sweetest mermaid images. You card is just adorable....great details! Sweet and simple card. I love it, thank you for sharing. Such a cute little mermaid, she looks a little like you! I love the sand at the bottom, nice touch. adorable card! I love this release! So pretty! Love that beautiful mermaid! I love it and this whole hop and release. You just can't go wrong with these stamps. Love them! The sand and shells are cracking me up! 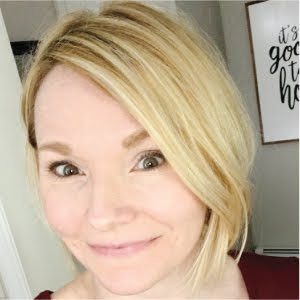 I am over the moon about the sequin mix, too! Love the use of sand. Pretty cards. I love your underwater scene that you have created Melissa and the ocean floor with the sand is such a great touch. Love that! Your card is beautiful.....love, love! Cute card! Love this mermaid stamp. Amazing,beautiful card! 😍 The addition of the sand and shells really make it fabulous!!! Thank you! She is lovely, I love her rosy cheeks! Your card is so cute! I like how you finished it off with the sequins and abalone shells. Fabulous! Great coloring of this cute underwater mermaid scene. Really pretty card. I just love those little shells. She's so cute and I love the addition of real shells! So pretty! Love the coloring and design! Love it! So fun and adorable. This is a really sweet card, thanks so much for sharing and inspiring! Very cute card ! Thanks for sharing ! So sweet. Clean and simple. Love it! This card is so pretty! I love the clean and simple look it has! Very cute card. The sand is a fabulous touch! Very sweet card, and very cool rock at the bottom of the sea. Thanks for sharing. Lovey card, I love the sand on the bottom. Great details! Sweet card!! Love your little scene!! Very lovely card - so sweet! Such a gorgeous card! Love the beautiful scene you created for your mermaid!